I have used London Translations twice this month, and can genuinely say that they offer a fantastic service. Everything was straightforward, easy to follow and hassle free. I have found the staff to be polite, courteous and friendly responding quickly to any correspondence. 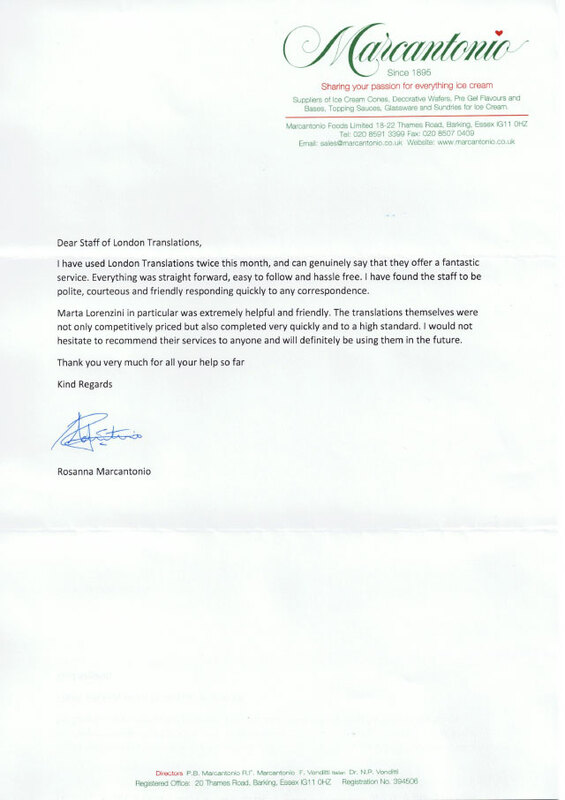 Marta Lorenzini in particular was extremely helpful and friendly. 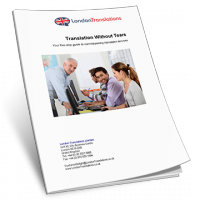 The translations themselves were not only competitively priced but also completed very quickly and to a high standard. I would not hesitate to recommend their services to anyone and will definitely be using them in the future.